Add another way to pay online and to withdraw money you receive to your account. 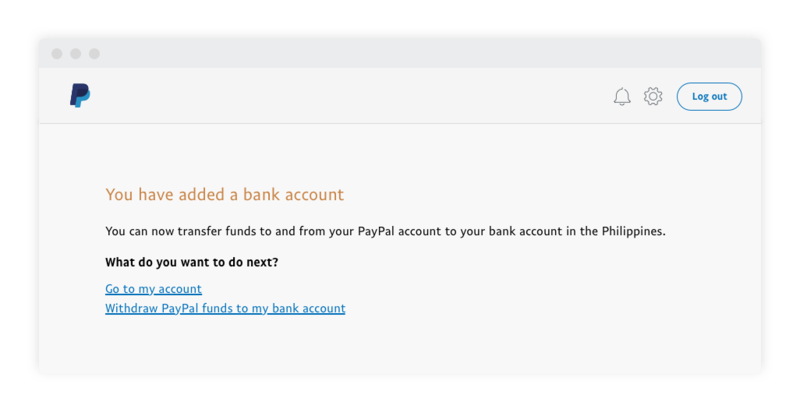 So you’ve signed up for your PayPal account and may have linked your credit or debit card to skip the hassle of typing your financial details each time you pay online. 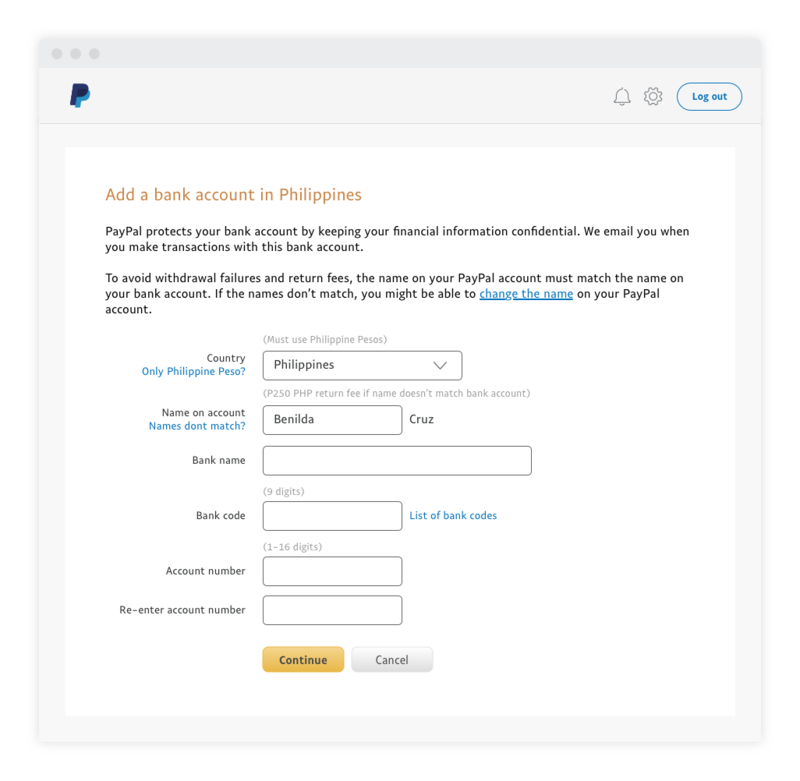 With PayPal, you can also add a bank account to withdraw any funds sent to your account. 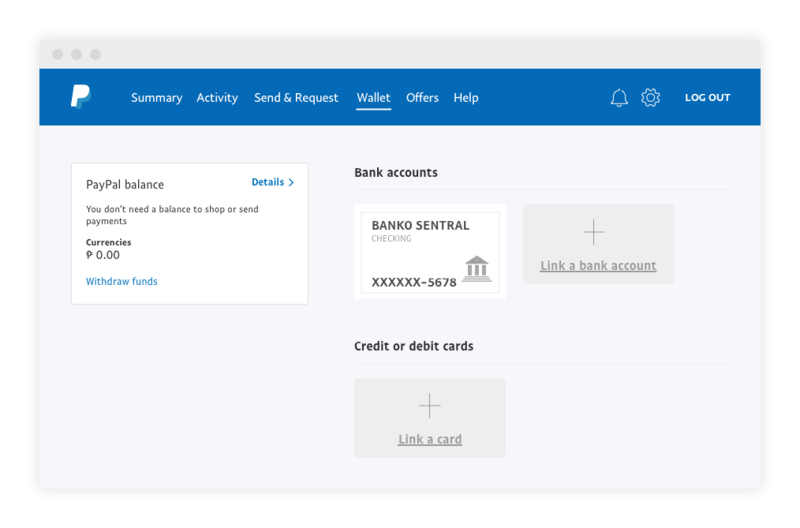 To start linking a new bank account, look for Wallet on the top bar, which will bring you to an overview of your current PayPal balance, as well as any linked credit or debit cards. Simply click on Link a bank account to start the process. We will require the bank name, bank code and your bank account number. Double check that the names on your bank account and PayPal account match, to avoid having to pay a fee for returned withdrawals. Tip: Remember to look out for the “secure” lock on the top right edge of the page to make sure you’re on the right page. Once that is done, we’ll send you an email to notify you of two small deposits and one withdrawal (between $0.01 and $0.99 USD) made to your account. These should appear in your account within 2 to 3 working days. Once you’ve received them, click on the link in the email to enter the deposit amounts for verification on the PayPal website. And that’s it, you’re done! You can now use your account to pay for your online purchases, and withdraw PayPal funds to your bank account in full. 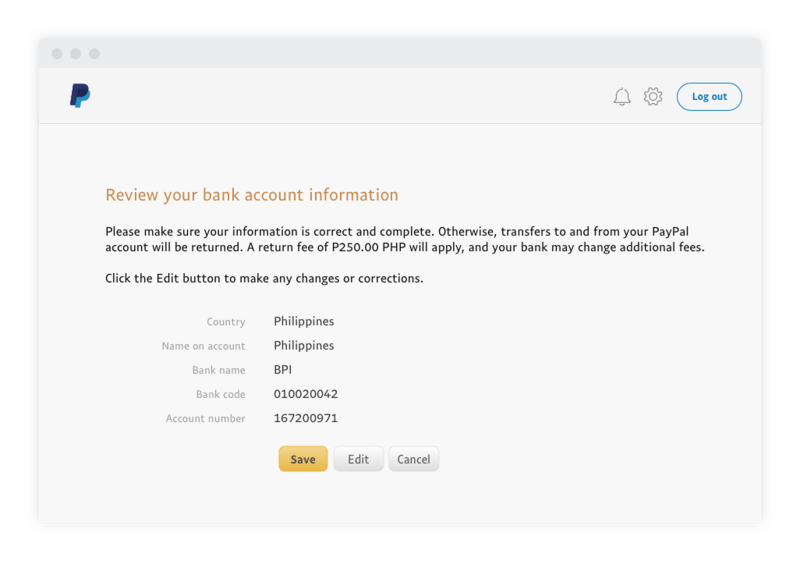 To withdraw funds from your PayPal balance to your bank account, simply go to your payment dashboard under Wallet. Look for Withdraw funds on the left of the page, and enter the amount you wish to withdraw before clicking Continue. Remember, a withdrawal request cannot be cancelled once it has been made, so review it carefully before you confirm it. Adding a bank account to make payments and to withdraw the funds you receive is just one of the many ways you can use your PayPal account. You can find out more on how to make the best out of your account, or simply start shopping now. Discover the deals and rewards you can get when you shop worldwide with PayPal. Transactions with PayPal enjoy world-class security with 24/7 fraud monitoring. How you can get full refunds on eligible purchases that do not arrive or isn’t as described. Here’s how you can get refunds for your return shipping costs on eligible purchases. Sign up to pay securely and have all your cards and rewards in one place when you shop online. Save yourself the risk and hassle of entering your financial details each time you shop and pay online. Checkouts made more instant when you shop online.